This triptych illustrates the importance of serial imagery in telling a story. Here the palette shifts from warm on the left to cool on the right. Notice how each palette gives a little of itself to the contrasting one and the center piece incorporates both elements. 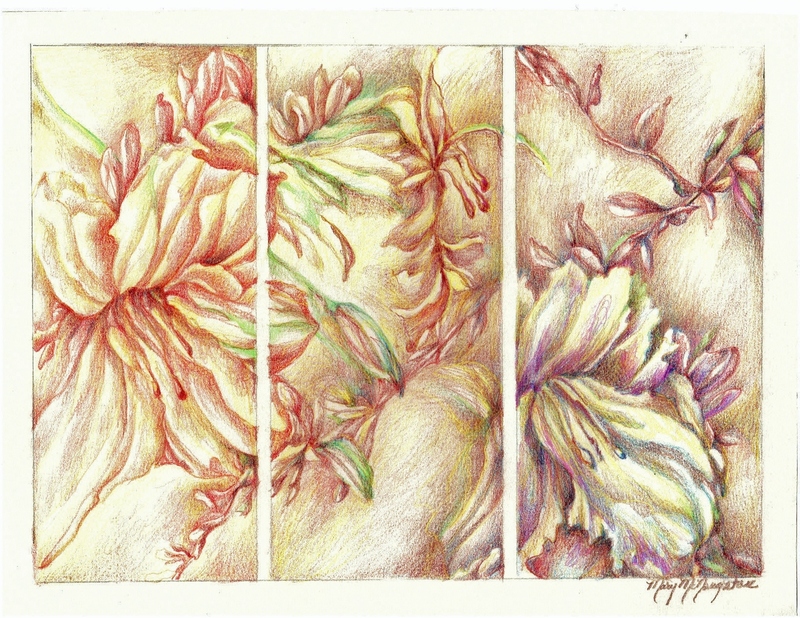 You are currently reading Triptych Demonstrating a Shift in Palette at Dr. Mary McNaughton and Drawing.